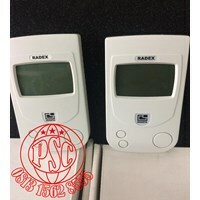 Anda Mencari "Alat Ukur Radiasi "? 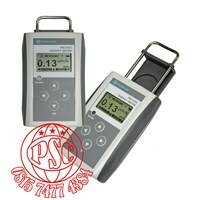 Buat Permintaan Untuk "Alat Ukur Radiasi "
Alat Ukur Radiasi Beta Gamma and X-Ray With Dosimeter Radex RD1503 Plus.SpecificationsOverallGeiger counter for everyone:Simple,Reliable & AffordableRange of indications ( μSv/h )0.05 – 9.99Scale range of Gamma-radiation energy ( MeV )0.1 – 1.25Scale range of X-ray radiation energy ( MeV )0.03 – 3.00Scale range of Beta-radiation energy ( MeV )0.25 – 3.5Error - of dose rate , not more, where P is the dose rate in µSv/h ( % )+-( 15+6/P )Audio Alarm threshold levels - dose rate ( µSv/h )0.10 – 0.90Measurement Cycle ( seconds )40 ± 0.5MeasurementsContinuousHeight x Width x Depth105 х 60 х 26 mmWeight90 gramBatteries ( «AAA» ) ( pcs )2Time of continuous operation, not less than ( hours )550DescriptionGeiger counter for everyone : Simple, Reliable and Affordable.This model is the next version of Radex 1503 model upgraded in 2017.RADEX RD1503+ can be used by non-professionals for quick and reliable measurement of radiation background in environment, soil and non-consumable products.RadexRead features :Detect and Measure β ( Beta ), γ ( Gamma ) and X-ray RadiationSimple interfaceMulti-threshold audio alarm with range from 0.10 to 0.90 µSv/hBACKGROUND mode detection : designed to detect sources of higher radiation compared to base levelSpecifications Summary :Gamma and Beta radiation detectionUse Geiger-Muller type of detection similar to the one used in professional dosimetric devicesTwo measurement units ( µSv/h and µRem/h )Fast measurement cycle : 40 sec for standardized measurement with 10 sec initial resultDetection range : 0.05~9.99 µSv/hPrecise measurement : ±15% accuracyVibration alarmMulti-threshold audio alarm with range from 0.10 to 0.90 µSv/h with an 0.10 µSv/h intervalBACKGROUND mode detection: designed to detect sources of higher radiation compared to base level40 second initial readingRequires 2 x AAA batteries ( included ).One year Manufacturer’s Warranty included ( all warranty claims are processed by authorized resellers only ). 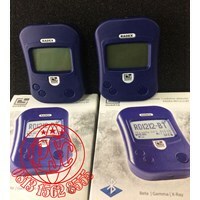 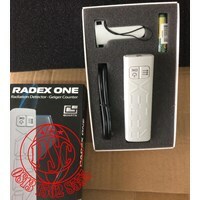 Radex One Alat Ukur Radiasi Beta Gamma and X-RaySpecificationsOverallCompact personal Geiger counterRange of indications ( μSv/h )0.05 – 999.00Scale range of Gamma-radiation energy ( MeV )0.1 – 1.25Scale range of X-ray radiation energy ( MeV )0.03 – 3.00Scale range of Beta-radiation energy ( MeV )0.25 – 3.5Error - of dose rate , not more, where P is the dose rate in µSv/h ( % )+-( 15+6/P )Audio Alarm threshold levels - dose rate ( µSv/h )0.1 – 1.0Measurement Cycle ( seconds )10 – 1MeasurementsContinuousHeight x Width x Depth112 x 32 x 23 mmWeight40 gramBatteries ( «AAA» ) ( pcs )1Time of continuous operation, not less than ( hours )500DescriptionCompact personal geiger counterRADEX ONE provides a non-professional consumer with fast and precise measurements that can be used for localisation of high-level radioactive sources.Radex ONE features :Detect β (Beta), γ (Gamma) and X-ray radiationCompact and light bodyRadiation Search modeMeasure cumulative doseStore data on PCShare measurements with other usersSummary and Working Specifications :β ( Beta ), γ ( Gamma ) and X-rays radiation detection10 sec. 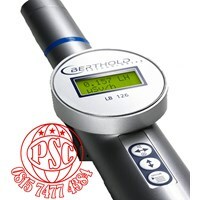 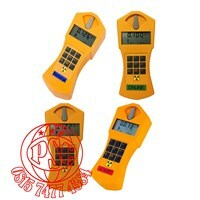 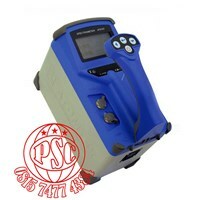 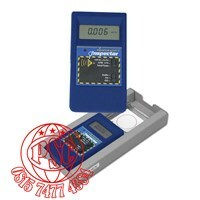 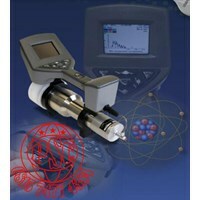 measurement cycleDetection range : 0.05~999.0 µSv/h±15% accuracy999.0 µSv/h upper thresholdStores measurement results on PCData transfer to PCTime and Date functionsAudible alarmVibration alarmRequires 1 x AAA batteries ( included )Weight : 40 gOne year Manufacturer’s Warranty included ( all warranty claims are processed by authorized resellers only ).Radex ONE can register and display the value of a dose-rate as high as 999.0 µSv/h.First standardized readings can be seen as fast as in 10 seconds.All advanced Geiger counter features within small and light case with affordable price.